The definition of society and work has changed over time. From the agricultural to the industrial to the technological era, everything we value is different. 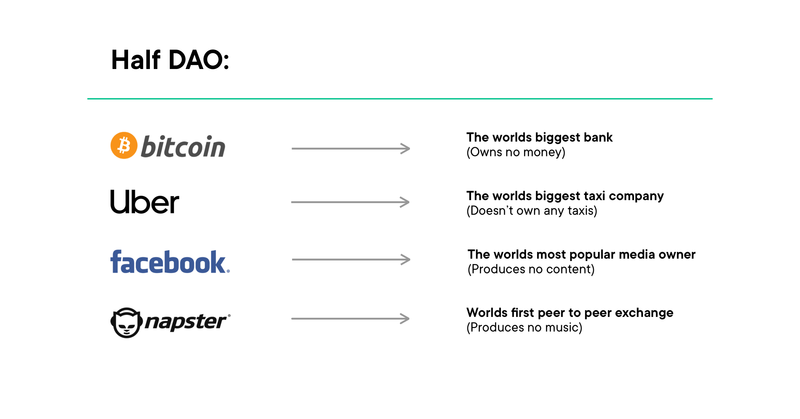 As we are going through this exponential tech race, we have seen the first decentralised platforms such as a garage startup taking over biggest industries such as hotels, taxi, music,) and many more. Bitcoin was the 1st attempt to take down the financial system and it is done by a community. 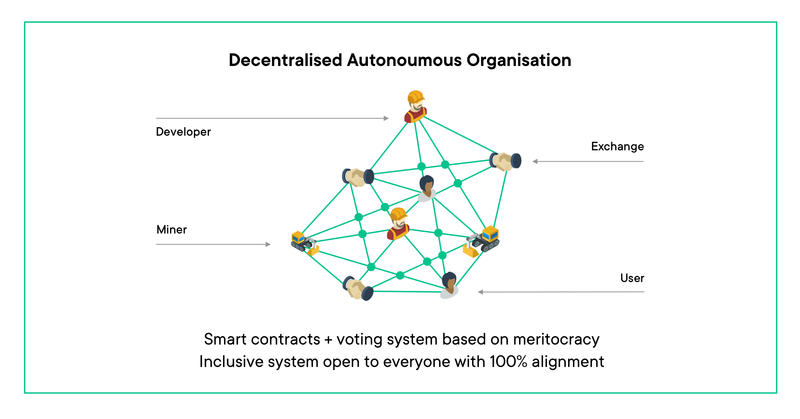 The DAO or “decentralized autonomous organisations” are organisations that are both decentralised and autonomous of any central authority. 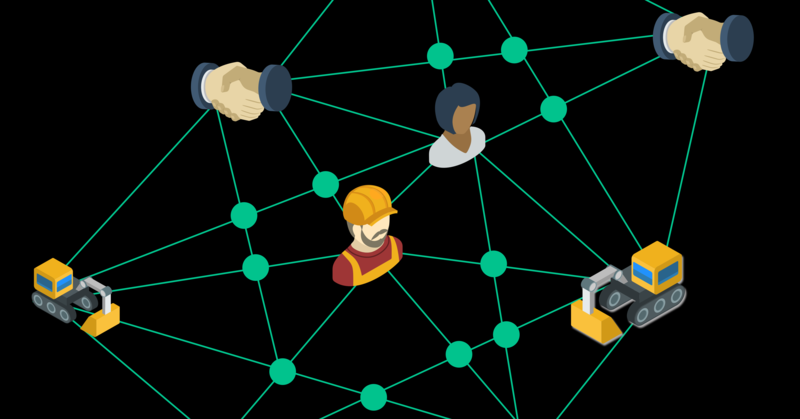 Initially, the DAO was initiated by a group of pioneers that wanted to combine cryptography, technology, and an aligned community. The original aim of the DAO was to remove the middleman from transactions and to create decentralisation in the financial system. Right after the financial crisis, the cypherpunk movement created the first DAO, Bitcoin, because they believed the financial system was flawed and unfair. Their goal was to create a new world where one network could create a new and inclusive financial system where trust depended on technology. 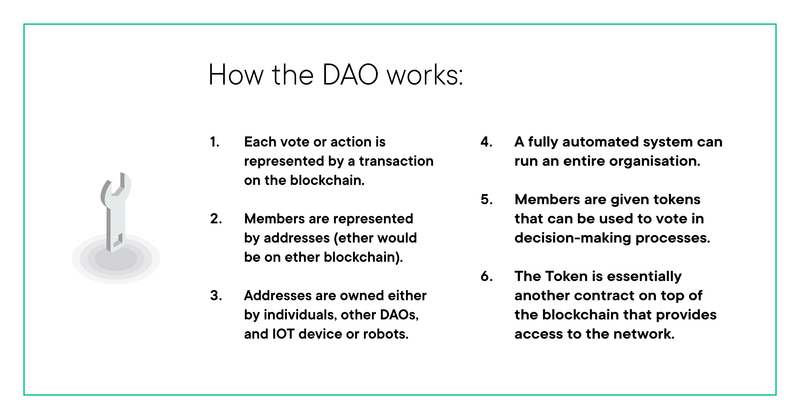 Unlike any other system, DAO token holders are all aligned and engaged in the project whereas traditional companies have users and shareholders and management that may or may not have shared goals and function independently. 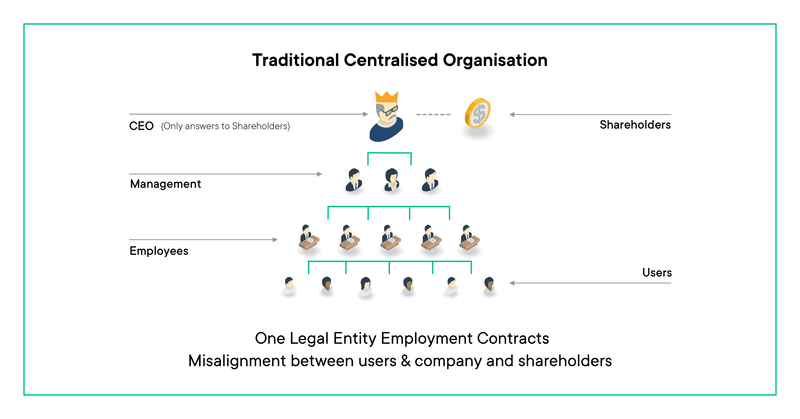 The DAO takes the concept of traditional organisations such as banks and decentralises it, so that the hierarchical model of management interacting with a central legal system is replaced with a set of people, or a network, interacting with each other according to the specified protocol in code and governed on the blockchain. While the idea is not a new one it is with the advent of blockchain technology that DAOs came into prominence, most notably DASH, Bitcoin and Ethereum. Our ICO in 2018 brought us $52million from 24K individual contributors. While our company is still not a full-fledged DAO, we have adopted a meritocratic approach and have made the CHSB, our token on the Ethereum blockchain, the key to our ecosystem. Last year we held two pathbreaking referendums on the Ethereum blockchain, where our community members were asked for their input and were rewarded for their participation. Our Swarm Intelligence Platform invites our community to engage in debate and discussion that we treat as feedback and reward. Join us on our journey to shift the financial world’s paradigm. Sign-up for our upcoming SwissBorg Community App which will use gamification to engage all who are interested in crypto investment from the novice to the expert.